Since this weekend was the first Spring-like weekend here in Richmond, I took a stroll to the back corner of our yard to assess the status of our backyard garden. It was a mess, as expected, but scattered throughout were healthy, delicious little mint sprigs laying their claim to various spots all over the garden like they always do. I know mint can be a bit of a nuisance. I know people that try their hardest to kill and contain mint because it always seems takes over the other plants. But, I’ve decided I’m not going to fight the mint in my garden. I love mint, I use the mint that grows back there, and when life hands you enough mint after a long Spring Break trip to Kentucky...you make mint juleps! I made the tastiest mint flavored simple syrup in minutes by bringing a cup of granulated sugar and 2 cups of cold water to a low boil with about 3 sprigs of roughly chopped mint. Once all of the sugar has dissolved and the syrup has started to boil, strain out the mint and let the syrup cool. Store the syrup in a sealed jar in the refrigerator. To make a mint julep fill a tall glass with crushed ice to nearly the top, pour equal parts bourbon and mint flavored simple syrup over the ice, garnish with a sprig of fresh mint, relax and enjoy. We have a lovely Spring lineup this week...until Thursday, that is, when the real party starts! Also, be sure to tune in to Virginia This Morning on CBS 6 this Friday as we help the Richmond Moms Blog promote their upcoming BLOOM event for Moms, by sharing some of our go-to baby shower recipes. Happy Spring everyone and thank you for your Support. For as slow as January seemed, February is flying by. We’ve been enjoying the Olympic Games this weekend and are getting excited for Mardi Gras, Valentine’s Day, Spring Break and Easter. We just posted our March and April dates and menus at supportsuppers.com and that’s a cue to me that Spring will literally be here before you know it. We’re dreaming about enjoying our favorite outdoor activities, one of those being a trip to Kentucky for thoroughbred horse racing. An unlikely taste treat for Spring is Kentucky Burgoo, similar to our Brunswick Stew, which is a signature dish at Lexington, KY Keeneland Race Track. If you’re looking for a hearty stew to get you through the last of these winter days or a great way to use any frozen meats you’ve been saving, give this recipe a try. We have a tasty menu line-up this week, including a special dish for Valentine’s Day. Check out what’s cooking at supportsuppers.com and let us help you and your loved ones celebrate this week. Thanks for your Support. What an awesome weekend we just enjoyed here in Richmond. It seemed like the warmer weather had everyone out and about and making the most of it while it lasts. While it was great to get outside and open all the windows in the house to let the fresh air in, it seems like the inevitable seasonal illness usually crops up after these weather extremes. Fingers crossed that won’t be the case and we’ll all be spared. But, just in case I wanted to share this recipe for a comforting and healing chicken soup. Although this recipe has a long list of healing ingredients, in our household we usually save the excess from a rotisserie chicken, leftover veggies, and boxed broth to keep a batch of fresh chicken noodle soup in the fridge during the winter. Or we’ll add the chicken to a ramen noodle dish and jazz it up a bit. Either way, it doesn’t have to take much to put together a great soup. Get creative with what you have on-hand. This week we have a diverse and tasty menu lined up. Check out our menu through the end of February or our Gift Meal option at supportsuppers.com and let us help you or your loved ones with dinner this week. Thank you for your Support. The kids are off school now and the holidays are upon us. Our lives are a mix of year-end doctors appointments with a little holiday magic sprinkled in. This is the last time I’ll post to the blog this year since the next two Sundays will be spent celebrating and enjoying time with family and friends. But I wanted to share one last piece of holiday magic with you before we check out for 2017. As stressful as it can be to prepare for big family gatherings or make that Pinterest-worthy treat for your friends and neighbors, take time to enjoy the magic. My kids love to help me with my holiday treat making. They’ve actually become quite good at it over the years. I mean, good being a relative term considering they are 3 and 5 years old. The link below is a super easy, super cute idea that my little ones have helped with since they were old enough to stand. So check it out if you’re looking for a last minute way to make your season bright and have a little something to share with others. We have two great menus this week and while our Holiday Gifts are no longer available for order, our Gift Meals are always available and make a great gift for literally anyone. Check out what’s cooking at supportsuppers.com and I mean it when I say, thank you from the bottom of my heart for all of your Support this year. Happy Holidays! 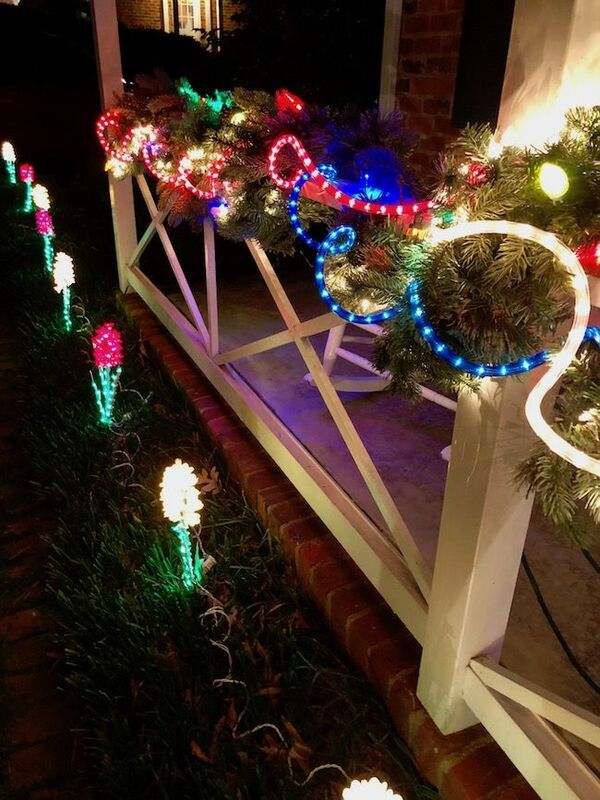 This year we will celebrate our eighth Christmas season in Richmond, VA and I’m pleased to report that this is the year we’ve succumbed to holiday rope lighting. And I LOVE it! It may seem like a silly thing to get excited about, but I feel like those crazy, colorful, mismatched strings of lights are a signature to Richmond’s style and Richmond most definitely feels like home by now. Another thing that may not be unique to Richmond but certainly is alive in well in this close-knit community, is holiday gifting. We received our first holiday treat this weekend from a neighbor. It was a delicious Gingerbread Stout Bread which paired amazingly with the salty caramel sauce I picked up at the Bizarre Bazaar with a scoop of vanilla ice cream. I don’t know which recipe she used but below is a link to a recipe for a similar bread if you think you may want to give it a try for your holiday neighbor gifting. If you have any friends or neighbors you’d like to share a special treat with this holiday season but don’t have time to whip up something special yourself, there is still time to order our ready-to-gift Holiday Gift Jars and Kentucky Bourbon Balls. Check out our holiday gifts as well as our Menus and Gift Meals at supportsuppers.com and let us help you with your holiday gifting this year. Thank you for your Support. Thanksgiving week is here and I can truly say I am so excited and thankful for the week ahead. I love spending Thanksgiving at home lazily cooking with everyone hanging out in their jammies, playing, spending time together, and watching the parade and dog show. Since I know that not everyone’s Thanksgiving is enjoyed relaxing, I thought I’d share some tips to help you plan ahead and ease the stress of the cooking and holiday shopping during your time off. The link below is my go-to recipe for make ahead mashed potatoes. I call them mashed potatoes, but they are actually better than a traditional mashed potato in my personal opinion. In this recipe I usually substitute diced chives for the paprika and find a way to balance a little heavy whipping cream in too. You can make them ahead and refrigerate for up to 2 days before you need to bake and serve them and they taste delicious either way. Since I don’t serve a lot on Thanksgiving day, I divide mine up into 2-3 smaller casseroles so that our “leftover” meals get a fresh batch of potatoes. We are also excited to participate in our second Small Business Saturday. To celebrate we are extending our 15% off all new Menu Meal and Gift Meal orders offer all week long. Starting tonight until Saturday, November 25, 2017, at 11:59pm use code “SupportSmall” at checkout to redeem this offer. We have menus posted until the end of February 2018 or our Gift Meals make a great useful and meaningful gift that can be redeemed for a meal anytime. Check out what’s cooking at supportsuppers.com. We have one menu on the calendar for this week. It makes me laugh a little at myself that it’s a delicious Mexican meal, I think I was going for a complete departure from anything that might resemble Thanksgiving fare. Thanks for your Support and we wish you all a very Happy Thanksgiving. We got our first taste of winter weather this weekend. I could tell because my energetic little boys get cabin fever and start looking for things to do indoors. One of their favorite things to do on a cold weekend day is make and decorate sugar cut-out cookies. I can’t say I mind because I LOVE iced sugar cookies and hopefully I’m nurturing the inner talent of one of them to make those gorgeous little works of art as they get older. Have you ever tried to make those beautiful iced sugar cookies? Maybe this year is the year to surprise your friends, family, and neighbors with cookies too beautiful to eat but too delicious to resist. This weeks cooking tip is my go-to recipe for royal icing, graciously shared with me several years ago by a friend who now owns a cookie bakery, the cookie bakery that made the cookies in the picture featured on this post. Sweetopia also has great cookie recipes, video tutorials, and helpful tips to help you make your holiday cookies amazing. We have a great menu lined up this week, but we’re also excited to announce that we’ve posted our menus for December and January as well as some VERY exciting Holiday Gift features to help you treat your friends, family, and neighbors with tasty Holiday greetings this year. Check it out at supportsuppers.com and please share the news with your local friends and family so we can help get the word out. Thanks for all of your Support, we can’t wait to help spread Holiday Cheer this season! This weekend we enjoyed our favorite festival, the Urbanna Oyster Festival. The delicious food and the fun, coastal atmosphere has had us “hooked” (see what I did there) ;) for over 15 years. I’ve only lived here for 7 years, so we used to plan visits to see family around the festival weekend. For me, it’s the last of the traditional Fall activities and signals a transition to the holiday season. In the coming weeks we will post special holiday menus for December and January, our special holiday orders of Kentucky Bourbon Balls, Small Business Saturday events, as well as many fun holiday activities and tasty recipes. This weeks holiday recipe isn’t just an homage to the star of the Urbanna Oyster Festival, but also my favorite dish on any holiday dinner table. Call it stuffing or dressing, I just call it delicious. It’s no wonder there’s never any leftover stuffing! We have a great menu line-up this week, check out what’s cooking at supportsuppers.com and sign up to receive our emails, follow our blog or like us on Facebook, Twitter or Instagram for the latest updates this holiday season. We’re excited to feed you and your loved ones this holiday season, and as always we are thankful for all of your Support! Halloween week is here and it’s such an exciting time for our family. We carved our pumpkins tonight in preparation for the Trick or Treaters and our annual neighborhood Halloween party. The smell of a lit Jack O’ Lantern is such a comforting and nostalgic smell that reminds me of trick or treating as a child. But my next favorite thing to do with carved pumpkins is toasted pumpkin seeds. Tonight we made a traditional flavor with sea salt and worcestershire sauce and an Asian flavor with Togarashi Japanese spice and soy sauce. Both were very tasty. As you carve your pumpkins this week, don’t forget to save a few seeds to try some of these fun pumpkin seed recipes. This week our dinner menus start back up on November 1st and we have offerings three nights to make up for being on vacation last week and the beginning of this week. Check out what’s cooking this week and the rest of this harvest month at supportsuppers.com and let us help with dinner. Thank you for your Support and enjoy a safe and Happy Halloween! I know there are people out there that like to jump the gun on Fall. Personally, I like having September to ease my transition into the season. It’s not time to break out the pumpkins until October 1...TODAY! And what a beautiful weekend we had to bring it in. 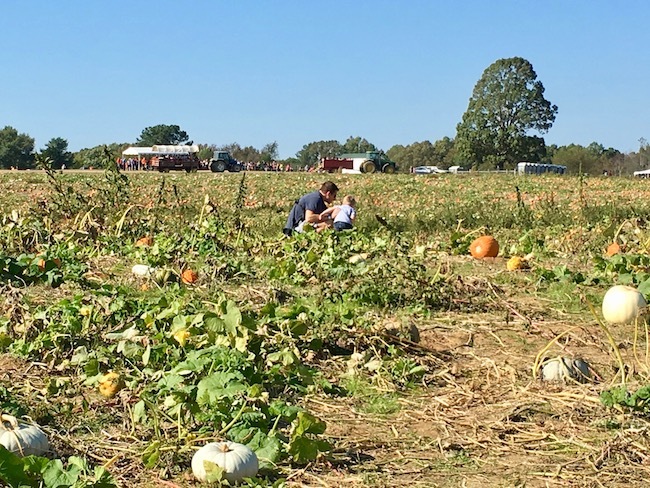 I’m sure many of you enjoyed some time outdoors, maybe even a trip to the pumpkin patch. What does one do with all that pumpkin? While I like the taste of pumpkin goodies, I’m not one of those people that LOOOOOVES everything pumpkin. So this week I want to share my favorite pumpkin pie recipe. It combines the tastes that pumpkin pie lovers love about pumpkin pie, with a balance of sweet and crunchy that others are missing from traditional pumpkin pies. I knew it was a winner when my sister’s kids told me it was what they would miss one year when our Thanksgiving plans didn’t overlap. No pumpkin on the menu this week, but some very tasty fall comfort foods sure to satisfy the whole crew. Check out what’s cooking this week, as well as the rest of our Fall menus and our Gift Meal option at supportsuppers.com. Thanks for your Support!